One of the best ways to get an honest and correct impression of a business is by checking how the previous customers interacted with it. Online user reviews will help you get a better understanding of a lender's policies, loan rates, loan features as well as the general way the lender operates as a business. The Better Business Bureau is a US based organization that provides free reviews for business from the USA and Canada. These reviews include in our case the lender's background, licensing, consumer experience and others. These reviews are only provided to those businesses that were approved by the BBB. 36MonthLoans.com has a standing A+ rating with the BBB. The rating system of this organization ranges from A+ to F and the rating is based on BBB grading system. Some of the grading elements taken into consideration by the BBB include: business complaint history, business type, time in the business, background information, failure to honor the BBB commitments, advertising issues known to BBB and others. You can visit our page on the BBB website by clicking Here and learn more about our company, see any complaints that we have resolved or check our BBB Accreditation. Most lenders will be able to provide reviews from the users but only the best lenders will be accredited by the BBB. Trust Pilot is one of the most used and trusted sources for product and business reviews in the world. Here you can find what users have to say about mostly anything. 36MonthLoans.com can be found here as well as a personal loan matching service. On our page more than 160 of our many customers have left reviews on the experience they had using our service. The easiest loan process we have ever experienced! This is a good place to get a loan no matter what the purpose is. 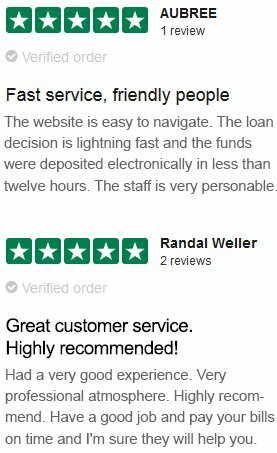 You can find more reviews on the 36MonthLoans page on Trustpilot.com. Simply click here for more reviews.